New York Masonry Contractor Insurance. As a masonry contractor, your business is at risk of lawsuits as a result of an injury while working on a project. Therefore, if you want to keep your business protected from financial ruin, you must be sure to have the right insurance policies in place. As a Mason, there'll be a number of different jobs you'll be required to do while working on a construction site. As a contractor, the safety while on the job is important. Following are some of the different insurance policies and how you can choose the right ones to secure your business. 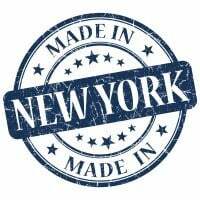 Get the New York masonry contractor insurance coverage that will keep you and your business protected. New York masonry contractor insurance protects your business from lawsuits with rates as low as $77/mo. Get a fast quote and your certificate of insurance now. Before being licensed in some states as a masonry contractor, you are required to you have liability insurance. When a person is considering you for a job, the first thing they want to know is if you have a plan like this in place. To work legally, you will have to have some liability insurance plan in place. Having New York masonry contractor insurance can protect your business from financial disaster in the case of a lawsuit against your company. 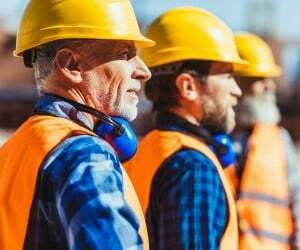 Commercial General Liability Insurance: This is the most important part of your New York masonry contractor insurance policy. This policy covers any damages caused to third parties from the work you do as a Mason. A contractor may require you to add them as an additional insured on your policy for the period that you work for them. It would work the same way if you hired a subcontractor to work for you. NY Commercial Auto Liability Insurance: To transport tools and materials to and from the job site you may use a vehicle or a fleet of vehicles. To keep your vehicles covered commercial auto liability insurance must be in place. Having this type of policy protects your company as you move back and forth between job sites. NY Workers' compensation protects your business from different liability lawsuits. There may be times when the work required causes injury to an employee. Workers' compensation helps with the medical expenses that come as a result of this injury. If injury results in a fatality this insurance will pay survivor benefits to the surviving family of the deceased.